Jan Lievens is an artist that history seems to have forgotten. He is best remembered as a contemporary of Rembrandt, but the two were actually friends even shared a studio for five years! They developed a very similar style, probably from working so closely, and painted many of the same subjects. And while the two did have a heated competition going at one point, they remained friends long after they stopped working together around 1631, and in 1656 Rembrandt still owned many paintings by his friend. But “Rembrandt” is the name that we remember. Even people not familiar with art understand that Rembrandt is praised as an artistic genius and we even use his name when complementing an artist’s skill. But Lievens is an absolutely fascinating painter just as good and arguably better than Rembrandt, yet no one seems to know anything about him. Back in his day, Lievens was judged to be the more talented artist. According to Arnold Houbraken, Jan was the son of a tapestry worker, and was trained by Joris Verschoten. At about the age of ten, he was sent to Pieter Lastman in Amsterdam for two full years. 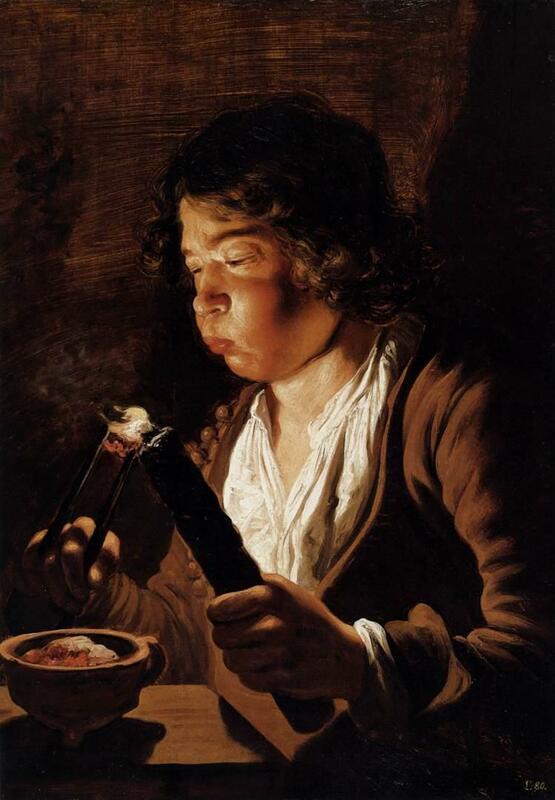 Lievens then, as a boy of twelve, began his career independently in Leiden. He became somewhat of a celebrity because of his talent at such a young age. Specifically, his copy of Cornelis van Haarlem’s illustration Democriet & Herakliet, and a portrait of his mother Machtelt Jans van Noortzant, were greatly admired. This attracted the attention of Maurice of Nassau, Prince of Orange, around 1620, who bought a life-size painting of a young man reading by the light of a fire. Shortly there after, Lievens collaborated with Rembrandt in a shared studio from about 1626 to 1631. Their competitive collaboration resulted in some two dozen paintings, drawings and etchings, and their style and subject matter were so similar scholars and critics had difficulty attributing works from this period. Though in Constantijn Huygens‘ assessment, Lievens was more inventive, yet less expressive than Rembrandt. During this time, Lievens’s paintings show a talent for painting in a life-size scale, and his dramatic half-length figure compositions suggest the influence of the Caravaggisti. Often these large paintings were “historicizing portraits,” in which he placed his sitters in a scene from antiquity or the Bible. The two artist split in 1631, when Rembrandt moved to Amsterdam and Lievens to England. Aspiring to become an internationally renowned court artist, Lievens left Leiden in 1632 to work at the court of Charles I, king of England. There, he was greatly impressed by the shimmering canvases of Anthony Van Dyck and Peter Paul Rubens and developed an elegant, refined portrait style. With his new softer style, he moved to Antwerp in 1635, where he painted genre scenes and landscapes, as well as large-scale religious subjects for the Jesuits. At some point he married Suzanna Colyn de Nole, the daughter of the sculptor Michiel Colyn. In 1644 Lievens relocated again, this time to Amsterdam, where his sophisticated international style of painting was greatly admired and greatly demanded. He received many major commissions, including paintings for the Amsterdam town hall and many Dutch political, business, and cultural leaders sat for his portraits and avidly collected his landscape paintings and drawings. Despite his achievements, Lievens faced financial difficulties at the end of his life, probably due to the Rampjaar, and he died in poverty. After his death in 1674, his children were so afraid of inheriting nothing but debts, they appealed to the courts for the right to refuse the inheritance. 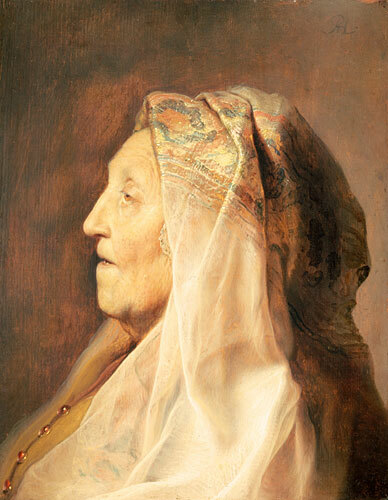 While Lievens enjoyed great artistic success in his lifetime, after his death his reputation was diminished by the shame of financial ruin. And because he was so traveled and his style so diverse there were many erroneous attributions of his best paintings to other artists, including Rembrandt. All of these factors obscured his considerable accomplishments, and so that is how Lievens came to be a great overlooked artist. But this just illustrates how we tend to write and rewrite history, so perhaps one day I’ll have my own museum and I can organize a show of painting by both Lievens and Rembrandt as young artists that would put their works side by side just as they were in their shared studio.